Do you have a space that needs a quick and inexpensive update? 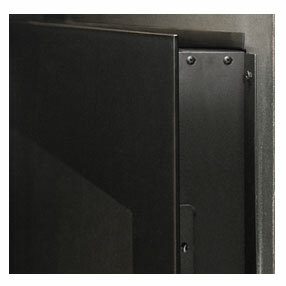 Hang a Napoleon Slimline Series EFL48H Electric Fireplace just like a flat screen TV with the included mounting bracket for an instant transformation. Plug it in and change the ambiance of an entire room. Impress friends and family with the luxury of a fireplace without monopolizing all of your space. The minimalist black glass front matches any décor and the shining crystal ember bed adds some extra sparkle. The EFL48H is portable; so it can transform any room, even take it with you when you move. It’s great for apartments, condos, or houses and there is no maintenance required. That means no gas fitters, or specialists needed for moving or installation. Just hang it and plug it in. This fireplace is also child friendly. No little fingers will get burned if they accidentally touch the glass front. This fireplace can hang anywhere, like the piece of art that it is, high so it is out of reach of children, or lower to set the mood like a masonry fireplace. This electric fireplace is highly efficient, heating rooms up to 400 square feet, allowing you to save money on your heating bill by heating only the space you are in with the romantic flickering glow of a fireplace. Want the ambiance of a fire, but it’s the middle of summer? No problem! The EFL48H’s heater can be turned on and off with the included remote or touch panel controls, providing mood without the heat. 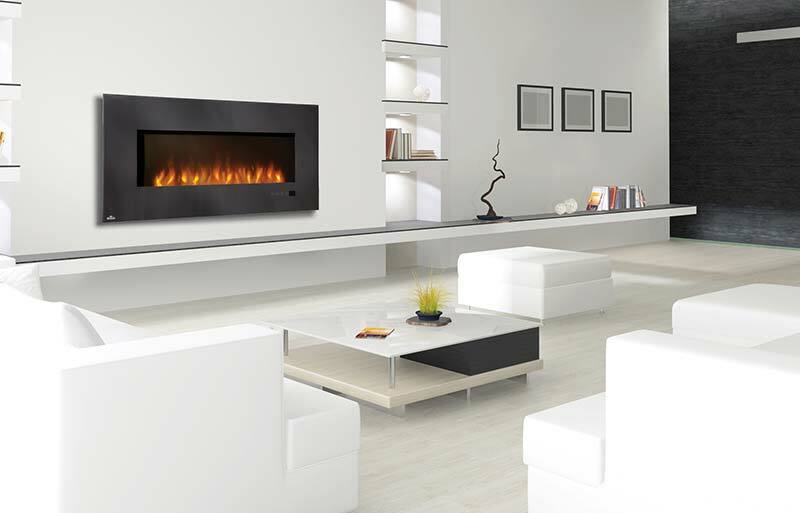 The perfect way to complete a renovation, this unobtrusive electric fireplace, part of the Slimline Series, is more like a piece of art, protruding into a room less than 4 inches, and only 1.5 inches when recessed into the wall. No need for a large and bulky mantel. 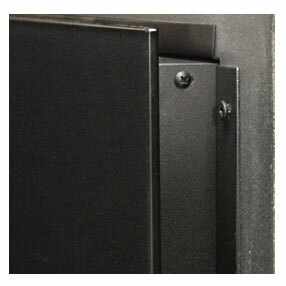 The unit comes with a paintable cord cover or easy access for hard wiring into the wall to hide the wires altogether.